U.S. Senator Charles E. Schumer called on the U.S. Department of Homeland Security (DHS) on July 24 to conduct a comprehensive security review of all major New York City-area airports, including Stewart International Airport, to determine whether security camera blind spots or other serious vulnerabilities exist. According to a recent investigative report by NBC, the baggage pick up and drop off areas at LaGuardia Airport and Newark Airport do not contain surveillance cameras, leaving these areas at-risk in the event of a future terror attack, like the most recent attack in Turkey, which occurred in a similar ‘soft-target’ area. Every inch of an airport matters and only 360-degree airport security will do. Schumer today said that when it comes to New York City-area airports, every inch of an airport matters and only 360-degree airport security will do. 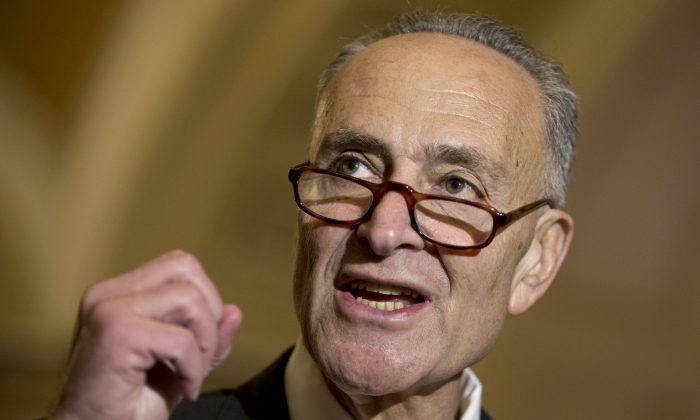 “Ensuring robust security at NYC-area airports is public safety 101, even before the rise we have seen in terror threats and attacks,” Schumer said. Schumer says he is even more concerned that the recent report indicates that there is no unified security camera system at any of the New York area airports and that Port Authority police are unable to access all of the security cameras at once in real-time in order to deal with potential issues. Schumer is urging the Department of Homeland Security to work hand-in-glove with the Port Authority, the Transportation Security Administration (TSA), and other agencies to ensure that any concerns are identified and fixed immediately. Schumer explained that, while the Department of Homeland Security recommends security measures for each airport, these recommendations do not need to be followed. Each airport has a unique Airport Security Plan (ASP), which is developed in conjunction with the TSA to fit that specific facility’s layout, size, number of entrances, number of employees and other unique factors, so security cameras at airports are not required by federal law. Schumer said the installation and maintenance of cameras has been tangled in a bureaucratic mess. Right now, the NY/NJ Port Authority owns some cameras at the airports, the TSA owns cameras and even the airlines and vendors own cameras with no unified security camera system.